Dubai is making steady progress with its tourism goals, with Dubai’s Department of Tourism and Commerce Marketing (Dubai Tourism) reporting 14.9 million overnight visitors in 2016. This represents a five percent increase on 2015, and an impressive four-year CAGR (compound annual growth rate) of eight percent since 2012 when His Highness Sheikh Mohammed Bin Rashid Al Maktoum, Vice President and Prime Minister of the UAE and Ruler of Dubai, launched the 2020 tourism strategy. This performance, which is twice the global travel industry growth rate of four percent over the same period (2012-2016), as forecast by the United Nations World Travel Organisation (UNWTO), puts Dubai Tourism in a good position to achieve its goal of 20 million visitors by 2020. It also demonstrates the resilience of the emirate’s tourism industry given 2016 was a turbulent year from a global economic perspective. 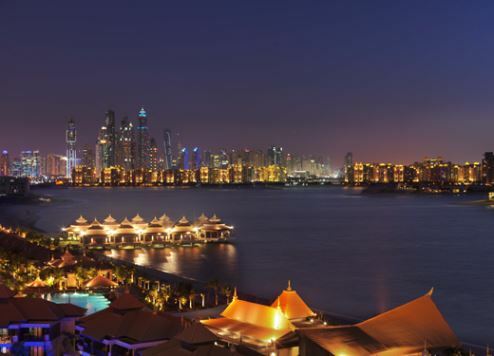 During the year, Dubai continued to attract a greater number of visitor numbers from its key source markets, despite three of them witnessing unique disruptions that impacted consumer sentiment. In the UK, for example, the Brexit announcement saw a subsequent currency devaluation of some 20 percent, yet Dubai witnessed a five percent increase in visitors from the country, which remains the destination’s third largest source market. Nearly 1.25 million British travellers visited the city, second only to India and Saudi Arabia respectively. “Our traditional core markets spanning the GCC, India, UK and Germany, continue to deliver more than 40 percent of our tourism traffic and we remain committed to investing further in driving greater penetration and frequency from these bases where we have built a credible recognition of the Dubai destination offering,” says Dubai Tourism director general, His Excellency Helal Saeed Almarri. South Asian markets spanning the Indian subcontinent continued to deliver impressive volumes of both first-time and repeat traffic, demonstrating the ability of Dubai to drive regular reconsideration through a diverse range of evolving destination offerings. Leading the list of traffic generators to Dubai in 2016, India brought in just under 1.8 million overnight tourists, representing year-on-year growth of 12 percent. Pakistan also featured in the top 10 source markets, delivering 607,000 tourists, which represented an 18 percent increase on 2015. Expectations of tourism growth from India remain high for 2017 with even stronger bilateral ties being forged between the UAE and India, highlighted by the recent presence of His Highness Sheikh Mohammed Bin Zayed Al Nahyan, Abu Dhabi Crown Prince and Deputy Supreme Commander of the UAE Armed Forces, as the chief guest at India’s 68th Republic Day celebrations. The GCC remained the number one regional volume generator for tourism to Dubai, delivering 3.4 million visitors, up five percent on 2015. Saudi Arabia spearheaded the contribution with more than 1.6 million visitors, representing a six percent increase year-on-year, with Oman next in line accounting for more than a million travellers. Kuwait and Qatar retained their top 20 status, registering an annual growth of two and nine percent respectively. Almarri attributes Dubai’s growth, achieved during “a period of unforeseen macro-economic upheavals”, to the sector’s ability to “adapt and respond with agility”; effectively “diversify investments and deploy strategies to minimise single-market exposure”; and “dynamically converge as an industry across government, private and public sector to grow our destination appeal and competitiveness”. “The effectiveness of our three-pronged approach is evidenced by the encouraging 13 percent growth in volumes from South Asia led by India, despite the [Indian banknote] ‘demonetisation’ and cash pressures facing the market,” adds Almarri. China also proved a lucrative source market in 2016, delivering a 20 percent hike in visitors to 540,000, marking the first time the number of Chinese tourists visiting Dubai had crossed the half-a-million mark. Russia also rebounded as a source market, with visitor numbers up 14 percent year-on-year. Growth in visitor numbers from both countries is expected to increase in 2017, “thanks to the UAE’s recent implementation of visas-on-arrival for all their citizens”, Almarri stresses. “With both our Chinese and Russian markets now being brought even closer to Dubai, in 2017 we will seek to improve our attractiveness to them and similarly to our global audiences with a deep and diverse portfolio of offerings for all core segments,” he says. Dubai’s stellar 2016 performance not only reflects the efficacy of the emirates outward-facing measures, but its destination offering. - Dubai Opera, a world-class entertainment venue, hosted internationally acclaimed performances and productions, while City Walk, the city’s trendiest new retail destination, also debuted.